Few people know that the first Watergate wasn’t the hotel where a presidential scandal took place. 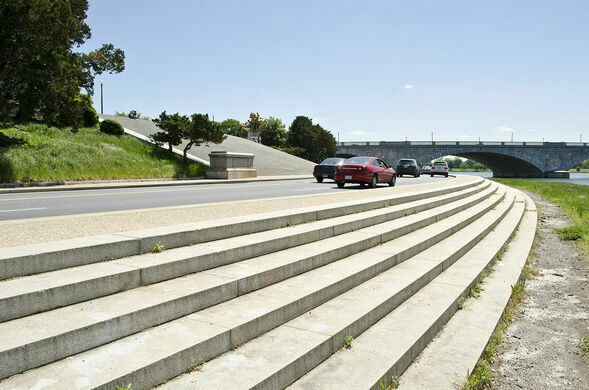 It was a forgotten staircase on Washington, D.C.’s waterfront. 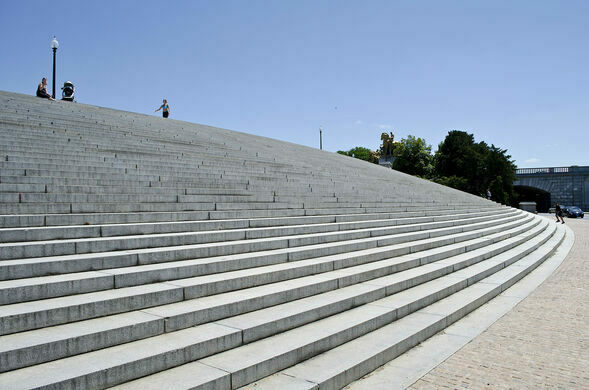 The stairs were originally intended to act as a dock for visiting dignitaries and politicians disembarking off the Potomac River. The idea was that guests would ascend the 40 concrete steps of the grand staircase from the river to the Lincoln Memorial as they entered the United States capital. This plan didn’t pan out, and instead the Watergate Steps became a concert space. 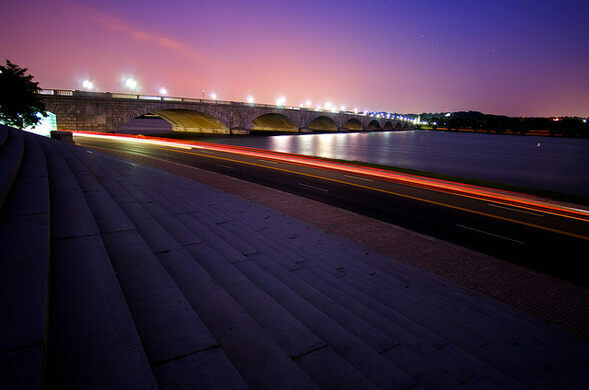 The orchestra would play on a barge docked in the Potomac while the audience sat on the steps beneath the night sky. 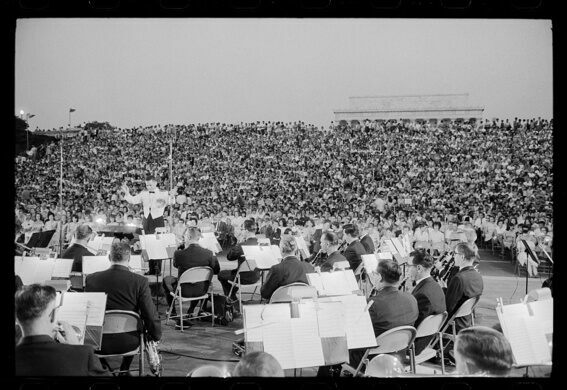 The “Sunset Symphonies” went on from 1935 until 1965, when they were cancelled because noise from jets flying overhead drowned out the music. 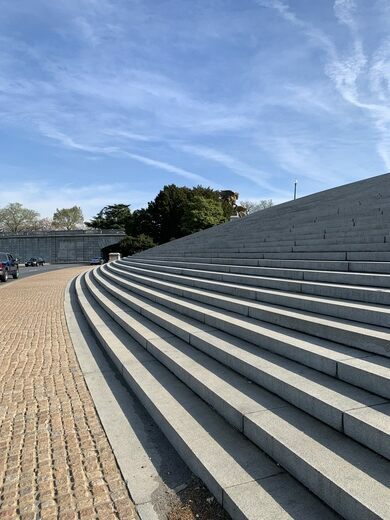 The original Watergate remains, a useless set of stairs leading to nowhere yet an integral part of the National Mall’s landscape nonetheless. It’s even rumored that the famous hotel and office complex took its name from the steps. 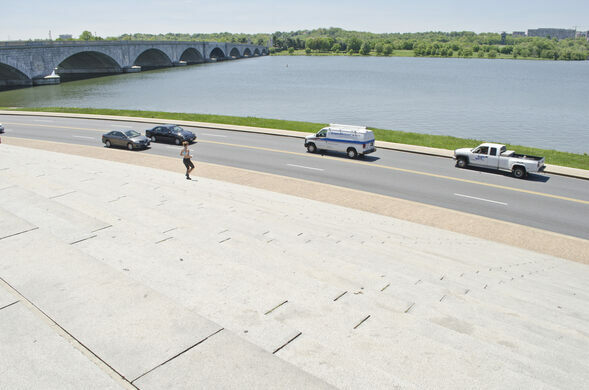 During early morning rush hour, you see joggers running up and down these stairs using them like 'stadium steps'; some appear to be racing down towards the Potomac River. If you sit at the top, you get a nice view over the Potomac into Virginia.